Explore an ancient, deserted temple and speak to the gods in this puzzle adventure. 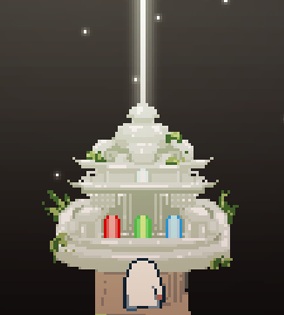 Comparable to Monument Valley, the character progresses when and only when the environment allows. Guide your follower through the puzzles that await so they can relight and restore your temple.